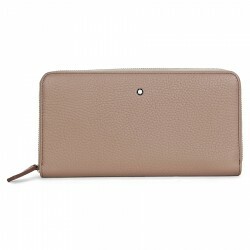 Montblanc Meisterstuck wallet 8cc wallet and coin case in Italian beige soft-grain calfskin leather and jacquard (Montblanc logo) lining. Montblanc emblem with palladium-coated ring. Internal Organization: 8 pockets for credit cards, 2 compartments for banknotes, a coin case with zip and 2 additional pockets.With direct shipping to Singapore provided. Dimensions: 10.5 cm x 19 cm. 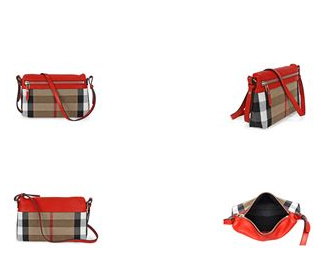 JomaDeals offers Burberry Small Canvas Check and Leather Clutch Bag - Cadmium Red US$269, and direct shipping to Singapore provided. 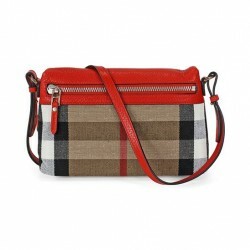 JomaDeals now offers Burberry Little Crush Brown Leather Checked Canvas Shoulder Bag at US$539.00. Direct shipping to Singapore. 7% tax will be charged by custom. Jomadeals now offers Michael Kors Selma Top Zip Satchel Handbag - Pale Blue at US$239.00 with direct shipping to Singapore. 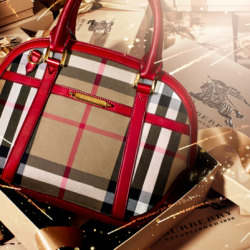 JomaDeals offers Burberry Small Orchard House Check Satchel for US$799.00. Direct shipping to Singapore available with fee applied. US$799.00 with direct shipping to Singapore. 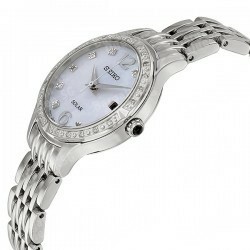 JomaDeals offers Seiko Solar Mother of Pear Dial Stainless Steel Ladies Watch SUT091 for US$119.00. Direct shipping to Singapore available with fee applied. US$119.00 with direct shipping to Singapore.